The Otterbox Commuter is a very good smartphone case for those who Samsung Gear VR and Google Daydream users because it’s very easy to remove and re-install, while also offering great protection. See the video! I just got a Samsung S8 Plus (I’ll tell you guys why next time) and I was looking for a case that’s easy to remove but would also provide good protection. After trying a few different cases, including the Otterbox Defender, the one I like the best so far is the Otterbox Commuter. 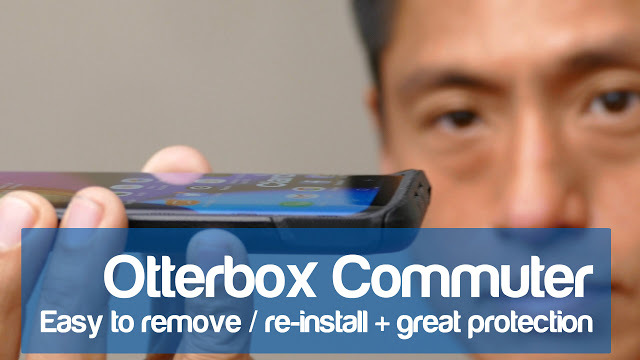 As you can see from the video, the Otterbox Commuter is very easy to remove and to re-install. At the same time, it offers great protection for which Otterbox is famous. It also won’t block the no-bezel infinity display of the Samsung S8. The biggest downside is probably the cost. Simply said, it’s not cheap, but then again, neither is it cheap to replace a damaged phone…. Are Samsung S10e, S10, S10+, or Note 9 compatible with Samsung Gear VR?